Fukuoka, Nagasaki, Hiroshima, Osaka, Sapporo and Kobe will be represented in the event, which will take place in Bangkok from 18th to 20th September. Fukuoka, Nagasaki, Hiroshima, Osaka, Sapporo and Kobe are the six Japanese cities featuring in Japan's exhibition area at IT & CM Asia 2018, which will take place in Bangkok from 18th to 20th September. Japan continues its standing strong in the MICE sector and is presenting itself with more area at the event. "In addition to the exceptional hospitality, culture and service standards that the country is recognised for, Japan has several cities with special features for different types of business events, which ultimately determines its MICE offer," said Darren Ng, executive director of TTG Asia Media, the event organiser. With 414 events held last year, Japan ranked seventh in ICCA - International Congress and Convention Association's country ranking, leading Asian participation in the list. The Japanese delegation at IT & CM Asia includes JTB Corporation, which serves Japan's tourism industry, reinforces Japan's determination to keep this industry booming. Fukuoka, Osaka and Sapporo are already familiar with the event, while the remaining destinations will debut in Bangkok. Out of the six participating cities, Fukuoka is the second Japanese city to host the largest number of international conferences, for eight years in a row. It has a thriving local economy, which attracts a growing number of international associations and congresses. "Fukuoka's MICE programs are designed to provide customers with a set of support services so they can customise their itineraries and event management. Our one-stop abilities help building a connection with the local economy to arrange interesting tours and exchange programs. One of the ways to effectively promote this destination has been through FAM trips that we have organised with IT & CM Events and will continue to be done this year," said Izumi Shimada, Sales and Business Development Manager at Fukuoka Convention & Visitors Bureau. Cities like Nagasaki benefit from this overall growth. This city has managed to attract international business events and hosted the conference on United Nations disarmament issues in 2016. "Nagasaki provides subsidies to organise conventions to promote our MICE offer, but we are also Fukuoka partners with versatile itineraries, ideal for incentive and team building trips to our World Heritage sites, while stimulating tourism," said Hiroyuki Noda, MICE Promotion Manager in Promotion and Sales Department of the Nagasaki International Tourism and Convention Association. The new city booming in the Japanese MICE sector is Hiroshima, which aimed at the Asia-Pacific region as a target market. The city hosts the expanding automotive and aerospace industries, and also attracts a lot of tourism and a large number of domestic and international events in biology, for example. "We hope to show buyers a deep understanding of what Hiroshima has to offer as a MICE destination. We have modified our grant program to better meet the needs of international conventions, and we are working closely with local players in order to attract more business events and incentive trips to the city," explains Kazuhiro Tsuji , Chief Supervisor for Hiroshima Convention & Visitors Bureau. Osaka is located in Japan's second largest business district, Kansai, home to brands such as Suntory, Asahi Kasei, Takeda Pharmaceutical, Sharp or Panasonic. Many companies, universities and research institutes are located in this regional hub, which is an innovative centre for entrepreneurs and startups. 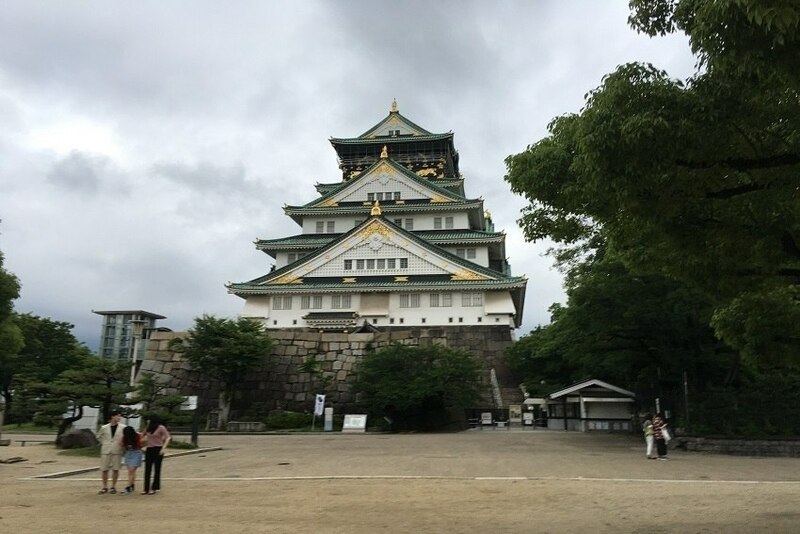 "Osaka has reinvented itself to attract visitors, especially with the Osaka MICE Business Alliance training, a partnership between the bureau and private sector organisations. This alliance aims to improve competitiveness in business events and to promote the city's infrastructure and advantages. We are also working with IT & CMA to organise a FAM trip for buyers at the end of the year," says Asako Shiomi, Deputy Manager at the MICE Promotion department in the Osaka Convention and Tourism Bureau. Sapporo is known for its beer and as a winter destination of excellence, but it is also one of the Japanese districts specialising in Information Technology and a City of Media Arts, as designated by UNESCO's Creative Cities network. The region occupies 20% of the Japanese territory, with only 5% of the population, making the island 'untouched' by intensive tourism and a pioneer in specialising in local food production and self-sufficiency, agriculture, medicine or veterinary science. "The Sapporo Convention Bureau along with TCEB have been developing a close working relationship since 2013, leading to many fruitful experiences, fresh ideas and new perspectives through our participation in IT & CMA. Our current goals for the Asia Pacific region include ASEAN, Australasia and hosting major Rugby World Cup games in 2019. We have therefore been working on the reorganisation of our local MICE resources, venues and attractions, and support programs," said Ayako Kurosawa, Incentive Coordinator for the Sapporo Convention Bureau. Kobe played an important role in Japan's modernisation, working as its main port and leading the industrial specialisation in machinery and metallurgy. In recent years, research in the field of regenerative medicine and disaster risk reduction research centres have settled in the city. Visitors can enjoy world-famous Kobe beef and other attractions and experiences, such as cruises and visits to thermal spring water towns or research facilities.